We get you started with menu boards and the signage included in the starter package of your choosing. We provide you with tri-fold menus, countertop menus, loyalty cards and coupons. Each month you’re added to our hard-mailing list so you can receive professionally printed monthly special promotional artwork and other informational or promotional items for free. 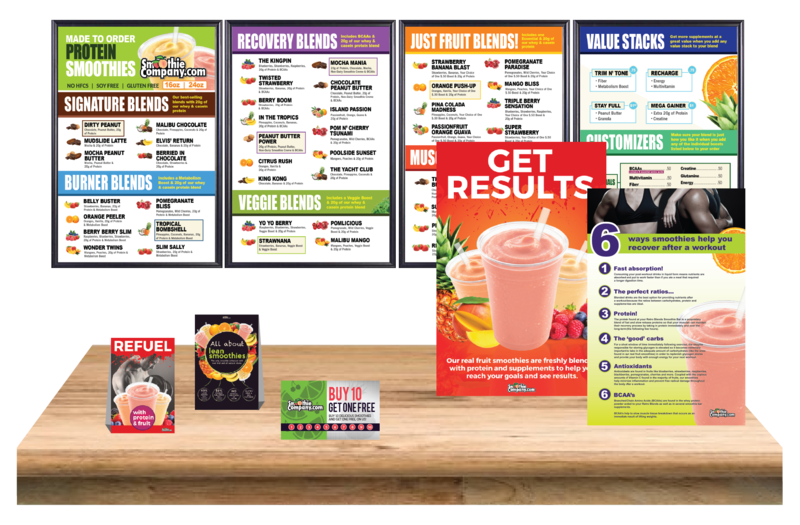 You are informed on a rolling basis about new promotional materials and resources you can use to promote your smoothie bar and boost sales! READY TO OPEN YOUR SMOOTHIE BAR?